Bring Dual Gigabit Access to Your System! Vantec introduces the USB 3.0 To Dual Gigabit Ethernet Network Adapter bringing you Dual Gigabit Ethernet through a single USB port. 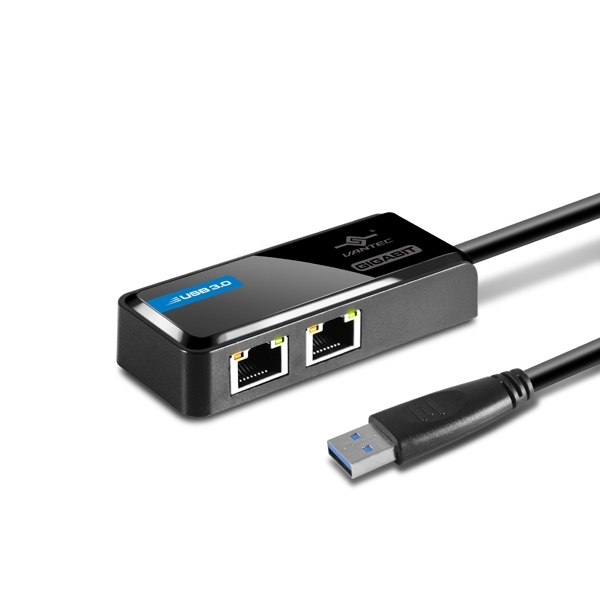 With the ease through a single USB connection, you can gain gigabit network speeds of up to 1000Mbps and be connected to two separate physical networks for any special function like network management, networked virtual machine configuration, bridging, gateway management, networking troubleshooting and more. This is a convenient solution for any IT administrators to bring along with their systems such as laptops, Ultrabooks or Macbook Airs to analyze and manage any networks. 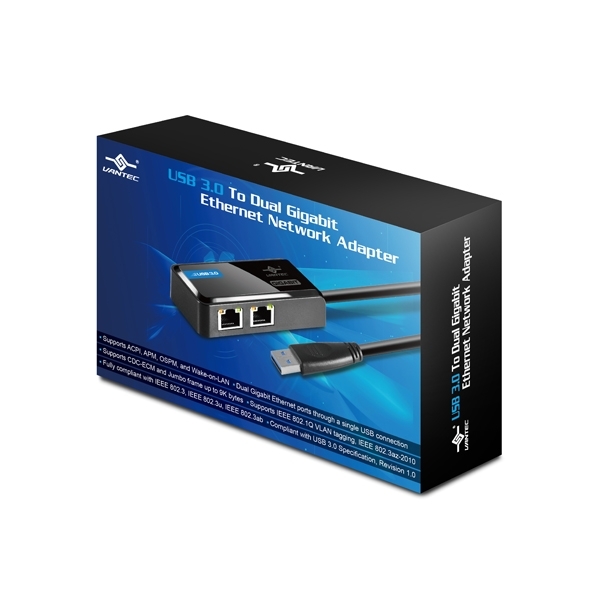 This USB 3.0 To Dual Gigabit Ethernet Network Adapter comes with a wealth of features to help enhance its use. *Actual speed may varies depending on the OS, condition, configuration, network traffic and equipment used.